There was a time when I used to sort of laugh at people getting on the bandwagon to buy air purifiers, believing it would make them less resilient to pollution and it isn’t really needed. Until, I too was forced by Delhi’s pollution to buy an air purifier, that too at the beginning of summer! I have been suffering from severe bronchitis/asthma for over a month. I have tried medicines and inhalers, but they only bring temporary relief. Yes, I have been lax in following up with the doctors and I have just now gotten my blood tested for various things. However, I have been suffering, day in and day out. Forced into the confines of my home for over a month, only going out to the hospital or a short walk in the veranda. So much so, that I finally decided to bite the bullet and buy an air purifier yesterday. Deciding to buy an air purifier is one thing, choosing which one to buy is altogether different and more difficult task. 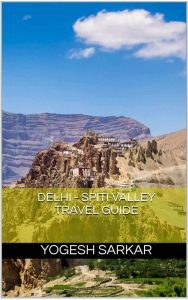 After all, there are no standards in India as such to test these things and the reviews and so called comparisons on the net, frivolous at best. I couldn’t spend more than 10-14k on the thing i.e. I had to stick to the entry level ones. I wanted a proper HEPA filter based air purifier, none of that Ozone based stuff, that could actually turn out to be harmful in the long run. These two criteria helped me narrow down my choices to Mi Air Purifier 2 and Philips 1000 Series AC1215/20 Air Purifier. I have couple of Mi phones, fitness band, and power bank at home and I love how Mi gives you value for money. And the same was also true for its air purifier, which had fabulous specs. Mi Air Purifier 2 is a smart device, it can be controlled from the app, consumes less electricity, shows you actual PM 2.5 pollution level in the room and had a single three in one filter (simple mesh, carbon, and HEPA), which costs Rs. 2,499. 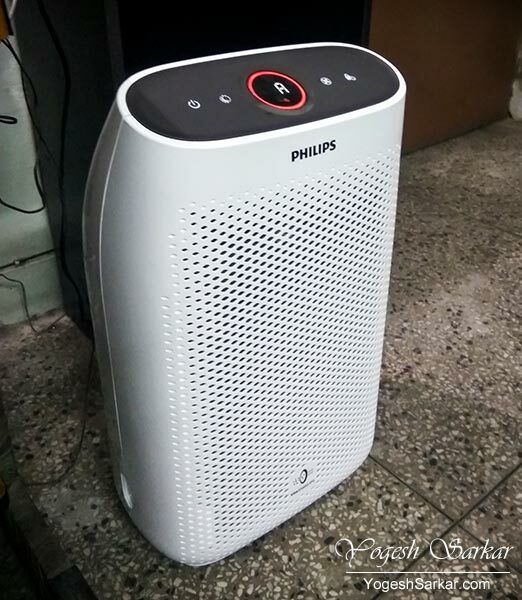 There are three separate filters in Philips air purifier with the first one being similar to the one found in Split-AC and user cleanable. Second being carbon based and the third being a HEPA Series 1 Filter. Carbon filter costs 2k and HEPA filter costs 2.4k. Based on this, one would think, that I would have gone for the Mi Air Purifier. Well, tempted as I was, I decided to go with Philips. The reason behind this was fairly simple. I liked the fact that I can easily clean the outer AC type filter myself on a regular basis. Seeing the state of my AC’s filter after a week’s use, I have little doubt, my air purifier’s filter would start getting clogged as well. With Mi, I would either have to keep using the filter like that and change it more frequently or clean it with the help of a vacuum cleaner, which will likely lower its efficiency. At the end of the day, the real expense of running an Air Purifier is the cost of filters over time. And based on this assessment, I felt, I would be changing the filter more frequently in case of Mi, than in the case of Philips. So I decided to take the plunge and ordered it from Amazon yesterday and today it was delivered. When I switched it on, it showed my room’s air quality as red (very unhealthy) and it only switched to red-purple (unhealthy) after about 15 minutes. However, I didn’t need any indicator to tell me anything. My wheezing, which had been going on since last night was all but gone and the air felt lighter and more breathable. While it mostly stuck to red-purple and only reached blue-violet (moderate) couple of times, air noticeably got better. However, a dust storm outside caused it to turn red again (one of the doors and a window of the room is open). Indicating the quality of air has gone down, though it didn’t felt as bad as it was, earlier in the day. I have no clue, how this will pan out over time and whether Philips 1000 Series AC1215/20 Air Purifier prove to be a worthy investment. However, for now, it seems like money well spent. Something I now feel, I should have bought earlier! Rest only time will tell, and I will surely post a more detailed review of it few months down the line. Try to sleep with Air Cooler at nights.. I personally feel.. as when air pass by wet filter pads of cooler it purify micro and big dust particles out of air and make it much much cleaner then it is normally.. I use cooler till rainy season and try to stay away from AC as much as possible apart travelling in car.. I strongly feel As of now Desert Cooler full of water(not the plastic body one) is best JUGAAD for unbreathable Delhi Air..
Humidity seems to make me condition worse. Yogesh, I’ve been researching to buy one for my bedroom as well. I’ve been trying to find the advantages of going for a ‘higher-end’ model versus a basic air purifier. Sadly, apart from air-reach and build quality, there is hardly any other difference between a 30k air purifier and the one you’ve bought. The high end models only come with unnecessary features like Wi-Fi enabled, Ionizer, PM meter, timer etc. For a while I was contemplating going for a DIY air purifier by arranging good quality parts myself and making one at home. However, decided against it as needed a professional grade air purifier for family health needs. Additionally, I was also thinking of buying just a HEPA filter and placing it right infront of my window air-conditioner’s louver. Since window ACs come with a pre-filter by default, attaching a HEPA filter at the end would make it somewhat work like an air purifier as well. But then, I would only be able to use it during the summers and would also be missing out on the carbon filter advantages. I would most probably be buying the same model you’ve bought for my tiny bedroom and will wait for your first hand review after using it for a few days. Thanks for this post, it was just what I wanted! Hello Amit, so far I am satisfied with the performance of the air purifier, though there are days when it can’t come down below red, no matter what! How is the air purifier performing now? Would you still recommend it? It is working well. I am satisfied with it. How is it working now. Have you changed any of your filter. How much time do you think the filters will last. I have been using to Air Purifier for over 160 days. So far, warning to change air filter hasn’t come up. And yes, I still prefer this over Mi. In fact I am thinking about buying another one of these. 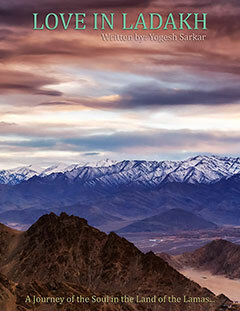 You had written verbatim the dilemma that I faced while on the hunt for an air purifier during the recent DelhiSmog. 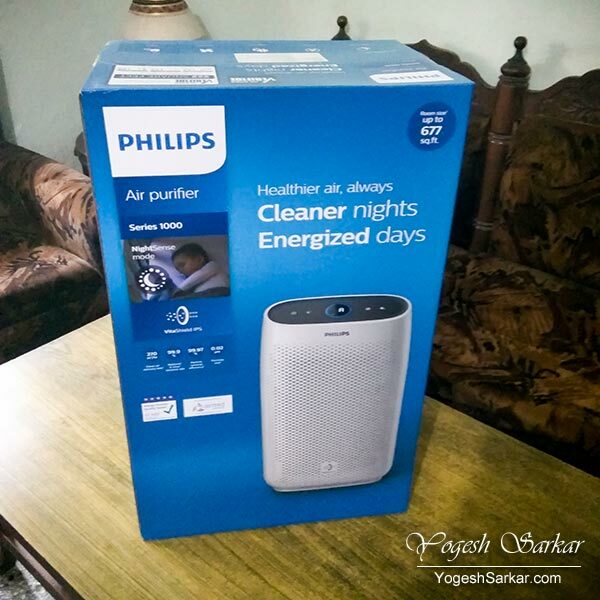 Ended up buying Philips AC1215 and had serious doubts about its performance, when it kept running on Auto for entire night without turning blue the next morning. Was thinking of returning it and getting a Mi2 or Honeywell A5. I thought of these two earlier as well but Mi2 was sold out on Amz and A5 was taking 2-4 days while this came the very next day. I have recently bought Mi Air Purifier as well, since I needed another for the other room in the house. Mi does seem to do slightly better job than the Philips and more than anything, due to app displaying PM2.5 estimates, mental satisfaction is more in case of Mi. However, even Mi wasn’t able to bring down PM2.5 count below 300 with all the doors closed at peak smog. However, as per my estimates, the filter will likely last 15-30% less than Philips and it is going down by around 1% each day! I wouldn’t buy the entry level model from Honeywell; it has peak airflow less than Philips. For these purifiers to work, you have to keep the room clean (vacuuming is a good bet) and doors and windows closed. So make sure you’re doing that. You mean Mi2 could never bring the PM2.5 below 300. Its E11 HEPA filter should bring it down by 95% if we go by EPA standards. What good it is then? When it started, PM2.5 levels were above 600 (it can only show till 600). You can’t expect it to bring PM2.5 levels to 10% what they originally were. I have noticed these only bring them down by around half i.e. if it is around 600 or above, then 300-400 is what you will see these things do. After all, no room can be completely shielded from the outdoor air environment and in an old style flat like ours, there is gap below doors and windows do not seal, so there is air leakage. I kept all my doors and windows closed, it is just that I was running my AC1215 at Auto level which I heard is not recommended when ambient air is this bad. Auto mode is fine, as long as there is enough light and no one is stepping in between light and air purifier to cause it to enter sleep mode. Run these things on turbo. Auto mode is insufficient. Check out the detailed review on smartairfilter where they compare the sensors with laser pm 2.5 sensor which are much more accurate. I wish I had one to measure the actual levels. Unfortunately they are expensive. Not really needed, unless the pollution is quite high.